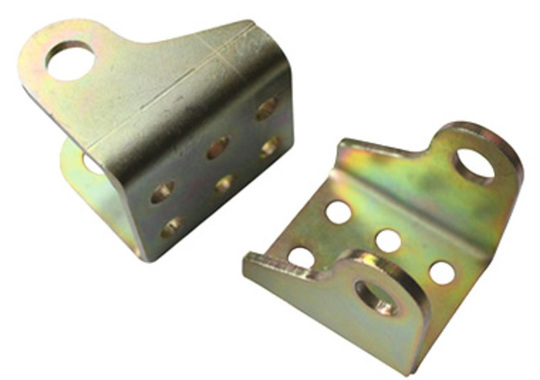 A larger-sized folded steel (zinc-plated) bracket for use with a 10mm diameter mounting pin (a 10mm zinc-plated steel clevis pin and R-clip are provided). These custom-designed mounting brackets allow you to attach one of our larger-sized GLA4000-S actuators and similar devices such as pistons and push rods to control surfaces. 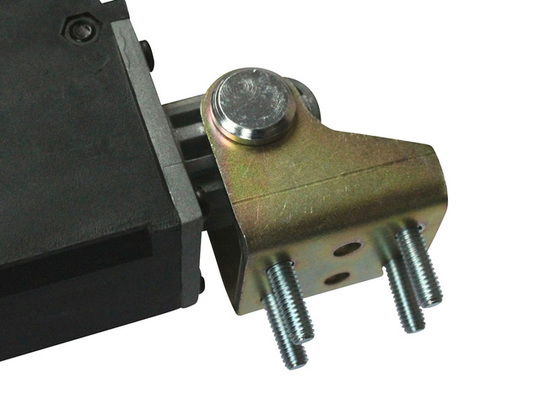 They are designed to fit the front or rear mounting points of an actuator and to facilitate rotation by close-to 180 degrees. The bracket is constructed from a robust piece of laser-cut and folded 3mm thick steel which is zinc-plated for corrosion resistance, giving a gold/blue surface tint. The weight of each bracket without accessories is 90g, with the 10mm mounting pin it is 125g. 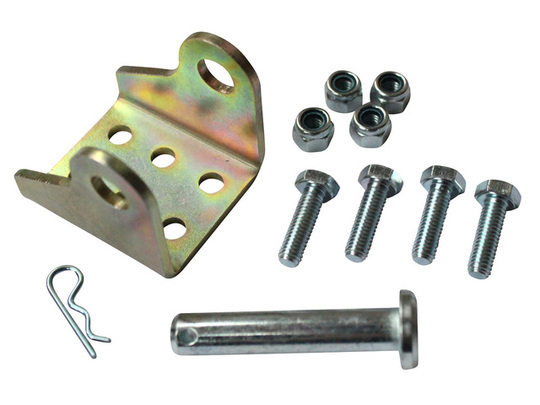 Each bracket is supplied with: One 10mm diameter clevis pin, one pin-clip (R-clip), four M6 x 20mm bolts, and four M6 Nyloc nuts. Please see technical details for a dimensioned diagram.